As expected Pakistan thrash Kenya comprehensively at Hambantota. This match was very important for Pakistan to get into the groove of World Cup and they succeeded in this. Their middle-order got good opportunity of getting among some runs which they grabbed with both hands. Bowlers also had good work-out and Pakistan captain Shahid Afridi stood out with the ball as he claimed five-for. However worry for Pakistan is the way their openers approached the game and failed miserably in the process can be a warning for Pakistan team. Kenya lost its second match in a row. They started brilliantly but failed to continue with the early over momentum. Kenyan bowlers torn apart by the Pakistani middle-order. Pakistani batsmen forced them to bowl wrong lines and which resulted into 47 extra runs. 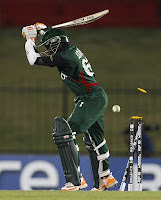 Overall bad match for Kenya and here on their hopes of doing well in the tournament also finishes. It was completely one-sided affair and Pakistani won it convincingly and started their World Cup journey on a high-note. Big match coming-up later in the day where African Lions will take on Calypso Kings at Ferozeshah Kotla,Delhi. This is first international match to be played on the Kotla ground after pitch fiasco in 2009 so it will be interesting to see how pitch behaves. Apart from the pitch, focus will be on two teams in South Africa and West Indies. South Africa is coming in this tournament after beating India at home 3-2 in ODI series but that result does not indicate how close that series was as India fought very well. As far as West Indies is concerned they lost the ODI series to Sri Lanka before the World Cup but good thing for West Indies is that they played their last series in Sri Lanka and they are more acclimatised to the sub-continent conditions and that can help them in this key match. Both the teams will start their World Cup campaign with this match and whoever win this contest carry big advantage in coming matches. If we look at South African squad it looks very balanced and with the return of star all-rounder Kallis this team looks pretty formidable. 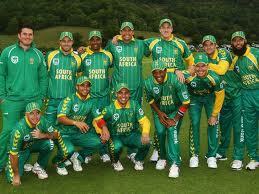 If we talk about strength of the Proteas then it is their bowling which stands out. They have two fearsome opening bowlers in Dale Steyn and Morne Morkel who can run through any side on any ground and pitch. Both have great pace with good accuracy. However, Proteas lack a bit in spin department where they have only Johan Botha who is experienced but not a kind of bowler who can make much impression. South Africa is banking highly on leg-spinner Imran Tahir who is Pakistan origin player and rated very highly in South africa but he is inexperienced and that can prove costly for Proteas. As far as batting is concerned Proteas are also having advantage as they have in-form opening pair in Hashim Amla and Greame Smith. Amla loves playing on sub-continent pitches and prolific scorer for proteas in last two years. Form of AB DeVilliers is a big concern for South Africa as he failed to score against India in home-series but he is class player and can hit the form anytime. As far as West Indies is concerned they are not the formidable side now but they still have very good players in their ranks. 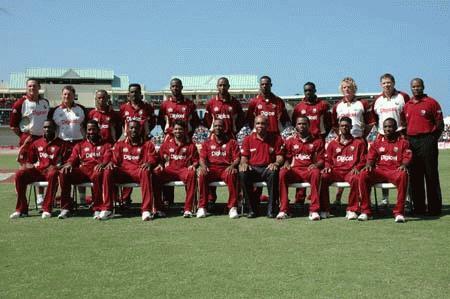 Chris Gayle, Ramnaresh Sarwan, Keiron Pollard and Shivnarine Chanderpaul can win matches single-handedly. West Indan bowling is not that great but they still rely heavily on the pace but they don't have any impact pace bowler in their ranks. Kemar Roach, Jerome Taylor,etc. can bowl one or two great spell here and there but lacks consistency and remember they are plying in sub-continent where pitches don't help fast bowlers too much so this is huge disadvantage for them. They have one spinner in Sulieman Benn who is not that dangerous and will do containing job rather than picking up wickets. I believe West Indies are not favourite to win today's encounter against Proteas but as they say cricket is a game of high unpredictability and whoever play well will emerge as winner. So great contest in offering after few dull matches and hoping to see lot of sixes and fours from the big bats of Gayle and Pollard.